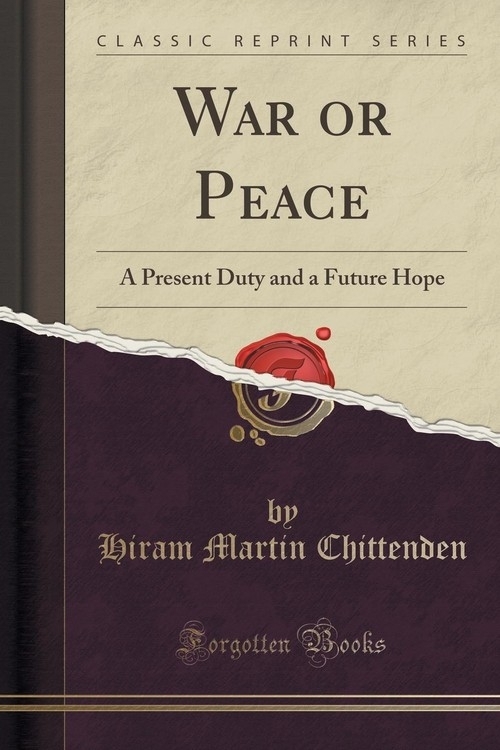 This short, but complete treatise, Chittenden's "War or Peace," is the best I have recently met with. Indeed, I cannot recall its equal. No phase of the contest between these rivals is forgotten or evaded. The author goes to the root of every contention for or against, and renders a reasond and calm verdict in favor of peace. There is no note of exaggeration. Both sides are fairly given and the thoughtful reader is led to the true conclusion thru logical argument. I only note somewhat of an exception to this statement in his treatment of the Tariff.